I thoroughly enjoyed this book, and if I didn't have to sleep every now and again, I probably would have finished it in one sitting! 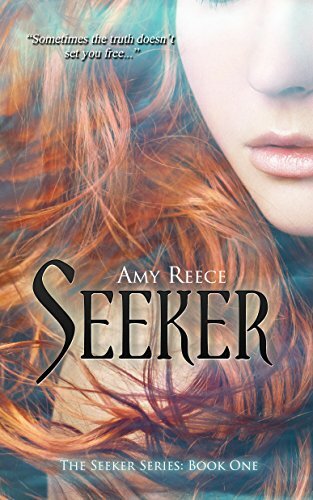 Amy Reece has crafted thoroughly believable characters, despite the paranormal nature of the text, and it was fascinating to see the way they dealt with the conflict thrown at them. Ally was your typical outsider, not one for being in the cliques at school, but happy to be with her own friends without having to worry about impressing people - much like I was when I was at school, so it was easy to relate to her. Jack was charming and eloquent, which is refreshing to read, because most high school boys are written as too macho or too nerdy - it was nice to see such a well adjusted character with an undoubtedly troubled past. Veronica was very easy to feel sorry for, even though she comes across as your typical popular cheerleader most of the time. She didn't deserve what was happening to her any more than Ally did with her "gift", and their interaction was believable and rather touching. The story had me guessing right until the end - most of the time with stories like this I'd have worked it out by the midpoint, but I just couldn't riddle this one out. Poor Ally - it's no wonder she felt so helpless! I'll definitely be picking up the other books in this series, because Amy Reece has done an incredible job of mixing the paranormal with high school angst, and I think the series deserves to be read in its entirety.